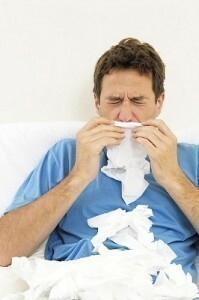 Also known as influenza, flu is one of the infectious illnesses that spreads through the air by sneezes or coughs. This virus is easily transmitted to individuals who have weak immune systems. To prevent the transmission of this disease, developed countries usually provide influenza vaccines to citizens. In order to treat the illness, it is important that patients have ideas about the early symptoms of flu. Additionally, it is also essential for individuals to let physicians or other medical professionals examine them to identify the effective and safe medicines that they can take to treat the illness. To detect this infectious disease, patients should know the minor as well as major flu symptoms. Examples of the minor signs of this illness are headaches, extreme coldness and chills. Aside from these symptoms, they can also experience throat aches and body aches. Moreover, patients with this illness usually have reddened skin and eyes, abdominal pain as well as diarrhea. Nasal congestion and vomiting are considered as major symptoms of this disease. As soon as patients experience any of these symptoms, it is best that they consult with their physicians so that they can take medicines and first aid treatments. Flu test is one of the most effective diagnostic procedures performed by physicians to confirm if a patient is suffering from the disease. The procedure can be done by getting a sample from the nose or throat of the patient. The sample will be sent by physicians to medical laboratories so that health experts can examine the viruses present in the sample. To detect influenza A virus, physicians can use rapid test kits. However, when detecting or diagnosing influenza A and influenza B viruses, physicians should wait for several days before they can get the results since rapid test kits are not efficient in detecting different strains of influenza virus. Influenza treatments include therapies as well as medications. The treatments can be given to fight the virus or these can be given to enhance the immune system of patients. Antiviral drugs that are administered to patients with this infectious illness have two classes, namely neuraminidase inhibitors and M2 protein. Examples of neuraminidase inhibitors are oseltamivir and zanamivir. On the other hand, examples of M2 protein are rimantadine and amantadine. It is also important that patients have plenty of rest. Moreover, patients should not forget to drink plenty of water and fruit juices that are rich in vitamin C to boost their immune system.